Jewels of Christ Student Center is a vibrant and busy Compassion center in Nicaragua. Pastor Ronald of NI-102 greets sponsors visiting his center. Located just west of Managua in Ciudad Sandino, and serving more than 400 children, we visited this center on a Saturday morning in October and were greeted with many songs and dances. The staff was warm and welcoming. Later, we were impressed as we toured the center’s many programs, which offer wonderful job training to the children in attendance. These include a computer lab, a bakery, music education, jewelry-making and a cosmetology program. These programs are beneficial to the community because they provide students with valuable experience, and hopefully employment in the future. The surrounding area is home to about 120,000 people, who earn an average of $70 per month. Most homes have dirt floors, brick walls and corrugated tin roofs. To learn more about a family we visited whose children attend this center, please click here. NI-102’s bakery class; one boy explained that he likes to make cakes and snacks the best, and is looking forward to learning to make pizza. These children in the center’s music class treated us to a beautiful song. Children in the computer lab are learning to use the programs Word and Excel proficiently. If you are interested in sponsoring a child who attends this center, please consider one of the following five children, for whom I am advocating. Contact me in the comments section if you wish to sponsor one of these children or to learn more about them. To read about my meeting with my own sponsor child at this center, please click here. Stiven is three years old, born June 19, and lives with his mother and father, who is sometimes employed as a laborer. He enjoys soccer and playing with cars, as well as playing a musical instrument. Erick is four years old, born September 13, and lives with his father and mother. There are three children in the home. He likes soccer and playing with cars. Onelia is 14 years old, born May 31, and lives with her mother. There are two children in the family. She likes playing a musical instrument, singing and listening to music. Cesar is 11 years old, born April 1, and lives with his mother. There are three children in the family. He likes soccer and bicycling, and his school performance is above average. Karla is seven years old, born February 5, and lives with her mother and father. There are four children in the family. She enjoys singing, playing house and playing with dolls. The following children are in need of sponsors. For only $35 per month through World Vision, you can help a child’s community to fund projects that provide clean water, nutritious food, basic healthcare, educational opportunities and economic development assistance. Each community, along with World Vision, determines its most pressing needs. You can also build a relationship with your child through letters. Will you consider changing a life today? Priyanka is six years old, and she lives with her father, who is a farm laborer. She is in primary school and enjoys studying the national language. She helps at home by carrying water and likes to play with dolls. The typical home in Priyanka’s community in India is made of wood, with a thatch roof and dirt floor. Rice is a staple in the diet. Your sponsorship helps to provide Priyanka’s community with improved health through access to clean water and training in nutrition and hygiene. It also provides tutoring, vocational training and leadership training, as well as innovative agriculture and livestock training. Juan Pablo, 7 years old, from Colombia. Juan Pablo lives with his mother and one sister. He is seven years old. Juan Pablo is not in school at this time. He likes to play with toy cars and helps at home by putting toys away. He lives in an urban community in Colombia, where the typical home is constructed of wood with cement flooring. Common foods are rice, eggs, beans and plantains. Your sponsorship helps to provide Juan Pablo’s community with special healthcare, vaccinations against major diseases and special feeding programs for undernourished children. Your support also helps to reconstruct the community, which has been devastated by an earthquake and war. Deborah, 8, lives with her father and two brothers in Uganda. Her father is self-employed, and struggles to provide for the family. She is in primary schools and enjoys foreign language. At home, Deborah helps with cooking meals. She likes to play outside. Deborah’s community in Uganda has been severely affected by the HIV and AIDS crisis, leaving many children without parents. The typical home is made of mud and bricks with tin or thatched roofs. Common foods are cassava, maize, sweet potatoes and beans. Your sponsorship will help to provide Deborah’s community with improved healthcare and support, emphasizing assistance to those affected by HIV and AIDS. Your support also helps children to attend school, and gives farmers seeds and training on new farming methods. Opher is a 9-year-old boy living with his mother and three brothers. His mother is a farmer. He is in primary school and enjoys foreign language. Opher helps at home by running errands, and he likes to play soccer. Opher’s community in Zambia has been affected by the HIV and AIDS crisis. The typical home is made of brick or mud with a thatched roof. A common food is a porridge called nshima, served with vegetables or occasionally meat. Your sponsorship would help to provide Opher’s community with new wells for clean water and reading and math clubs to improve education. Your support also would provide instruction on the prevention and treatment of HIV and AIDS, care for orphans and agricultural training for farmers. Diana, 13, of Brazil, lives with her parents and two sisters. Her father is a driver, and her mother is a vendor. She is in junior high school and enjoys mathematics. Diana helps at home by being good, and she likes to play video games. Diana lives in an urban community where homes are built of brick, and are small and airless. Common foods include bread, biscuits, cereal, vegetables and meat. Your sponsorship yeps to provide Diana’s community with greater access to nutritious food and improved healthcare and hygiene. Your support also helps to provide education and tutoring to school-age children, teach mothers to read and fund skills workshops to help older children gain employment. If you are interested in becoming a sponsor or have any questions, please contact me in the comments section below. As the countdown continues for my trip to Nicaragua, I will be looking for sponsors for children from the area. If you choose to sponsor one of the five children for whom I am advocating, I will take a package from you to Nicaragua to be delivered to your new sponsor child. Compassion’s mailing guidelines allow for sponsors to send flat, paper items to their children, but this would give you the opportunity to fill a gallon-sized ziploc bag with other items. Popular gifts to send include small stuffed animals, journals, pencils, t-shirts, toy cars – really anything you can fit into the bag. Heydi is five years old. Her birthday is Dec. 18, and she lives west of Leon with her parents. Her father is a laborer, and there are two children in the family. Heydi enjoys art, playing with dolls and playing ball games. She is in Kindergarten. Randall is six years old, and his birthday is Feb. 14. He lives with his parents in Northern Managua, and there are seven children in the family. His father is sometimes employed as a seller in the market. Randall likes soccer and playing with marbles. Jeisni is seven years old and lives in Chinandega City with her mother, who is employed as a laborer. There are two children in the family. Jeisni enjoys playing house, art and bicycling. Her birthday is June 20. Juan is five years old, and his birthday is Dec. 29. He lives east of Managua with his mother, who is employed as a laborer. There are two children in his family. Juan likes playing with cars, art and running. Marco, 11, lives southeast of Leon with his parents. There are three children in the family. Marco’s birthday is May 7, and he likes soccer and playing with cars. Compassion has been working in Nicaragua since June 2002. Currently there are more than 21,765 children attending more than 105 child development centers in the country. As a Child Ambassador for World Vision, I have five children for whom I am advocating right now. Please take a look and see if any of them touches your heart. Maybe one shares a birthday with you or a family member. Maybe you share a hobby with one or are particularly interested in their country. 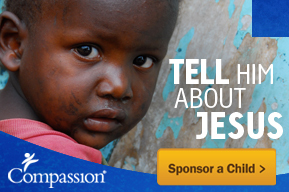 If you see a child you would like to sponsor, please contact me. You can make a difference in the life of one of these children. Ganesh is a 5-year-old boy living with his parents and one sister in an Indian slum. His father is a driver and struggles to meet the family’s needs. Ganesh likes to play ball games. Elder Aroldo, 8, lives with his parents, two brothers and four sisters in Guatemala. His father is a farm laborer. Elder Aroldo is in primary school, helps at home by gathering firewood and likes to play with toys. Nuredin is a 10-year-old boy living in Ethiopia with his parents and one brother. His father is a farmer. Nuredin helps at home by caring for animals. He likes to play basketball and enjoys drawing. Seraphine, 12, lives with her parents, two brothers and three sisters in Rwanda. She helps at home by gathering firewood, and she likes to play ball games. Seraphine is in primary school, where she enjoys learning a foreign language. Mariney is a 13-year-old girl living in Colombia with her mother and extended family. In primary school, Mariney enjoys art. She helps at home by sweeping floors, and she likes to play hide and seek.